Most of us fell into the Whedonverse with Buffy. Whedon had an innate talent for witty dialogue, lovable characters, and somehow, in a show with vampires and slayers, captured the high school experience more realistically than anything else on TV. Ever since I became addicted to Buffy, I decided that I would follow this writer wherever his talent might take him. We then moved onto Angel, a spin-off TV series of Buffy. Angel allowed Whedon to experiment with grittier, more adult story lines with Los Angeles as the backdrop. But then both Buffy and Angel came to an end. Then came Firefly, a space western TV series that starred Nathan Fillion. Even after the series was cancelled, we all lined up to see the movie, Serenity, which was a wonderful wrap up to the show. Yet neither venture catapulted Whedon into the success we all knew him to be capable of. 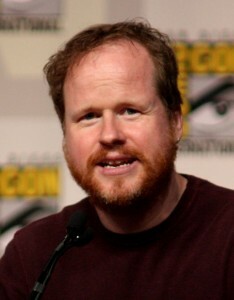 For awhile, Whedon stayed off the big and small screen radar, working mainly in the comic book world. He went on to write a The Astonishing X-Men, launch the Buffy Season Eight, and write Fray and Runaways. The comics had the signature Whedon flair — strong female characters, absorbing plot lines, and the right mix of action, romance, and adventure. We waited with baited breath to see what would become of Wonder Woman, a feature film that Whedon was set to write and direct for Warner Brothers. However, in 2007, Whedon announced that he was no longer with the project. Whedon would venture into television once again with Dollhouse, a series that starred Eliza Dushu, but Fox cancelled the series in November 2009. So it’s in 2012 that we Whedon fans finally get our due. First came the satirical horror film, The Cabin in the Woods, which Whedon produced and co-wrote with director Drew Goddard. Then came The Avengers, which has already been inducted into the movie billionaire box office club. The film had the biggest box opening weekend in history and was the fastest film to break the $300 million dollar mark in nine days. The Avengers is a movie for comic book fans, Joss Whedon fans, and anyone that appreciates a great superhero movie. While the action scenes are fast-paced and enjoyable, the script is what makes the movie so special. What Whedon accomplishes is nothing sort of amazing –in a movie packed with superheroes, no character is left behind and every character is seen as being vital to the greater whole of the film. This is no small feat in a movie that includes the Hulk, Thor, Ironman, Captain America, Hawkeye, and Black Widow. With The Avengers continuing to increase in sales, it’s safe to say that Joss Whedon has not only arrived, he, like the Hulk, has smashed his way through the door.